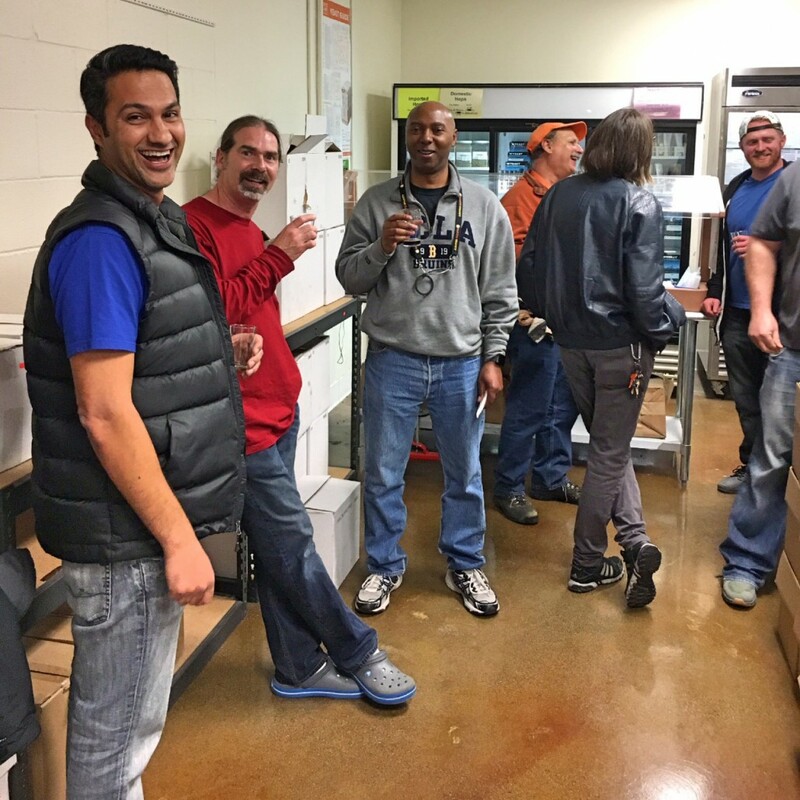 It was great seeing all of you last night and I’m very thankful for those of you who brought out your kegs and bottles of homebrew. The combination of education, competition, and comradery exhibited last night was over the top. For those of you who weren’t able to make it out, here’s a recap. The meeting started off with education, care of Michael Patterson and Greg Foster; a tradition we’re planning to continue beginning each meeting with moving forward. 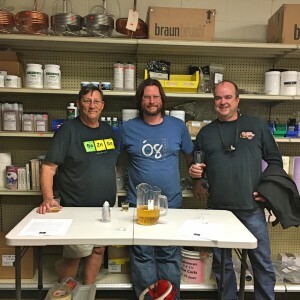 Michael hosted a sensory perception demonstration on Diacetyl, the cause of the butter flavor that is by and large considered an off-flavor in most styles and Greg ran a Brülosphy exBEERiment that sought to investigate the differences between homemade and commercial Belgian candi sugar. Both were well executed, fun and informative. Many thanks to Michael and Greg. 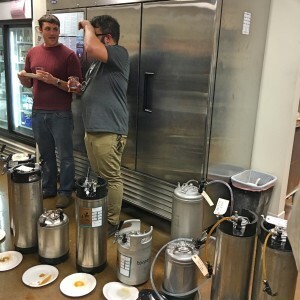 Pizza was served, taps flowed and the board members reviewed current and upcoming events. Lloyd led by announcing that my wife Tania Musgrave has volunteered to fill the open Secretary position on the Board. 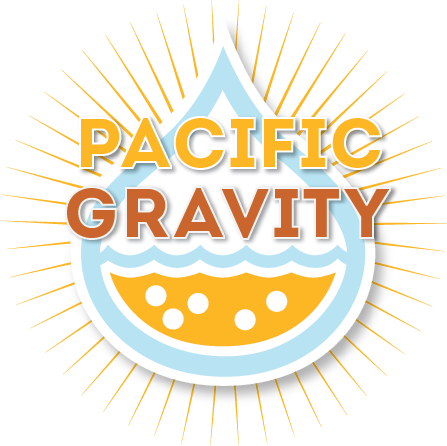 Terry reminds all interested parties to contact soon if they plan to attend and camp at the SoCal Homebrew Festival, May 29th and 30th. Time is running out so act fast if you want to get involved, I’m told it’s an event that is not to be missed. General info here, email the Board for more info on our club specific plans. 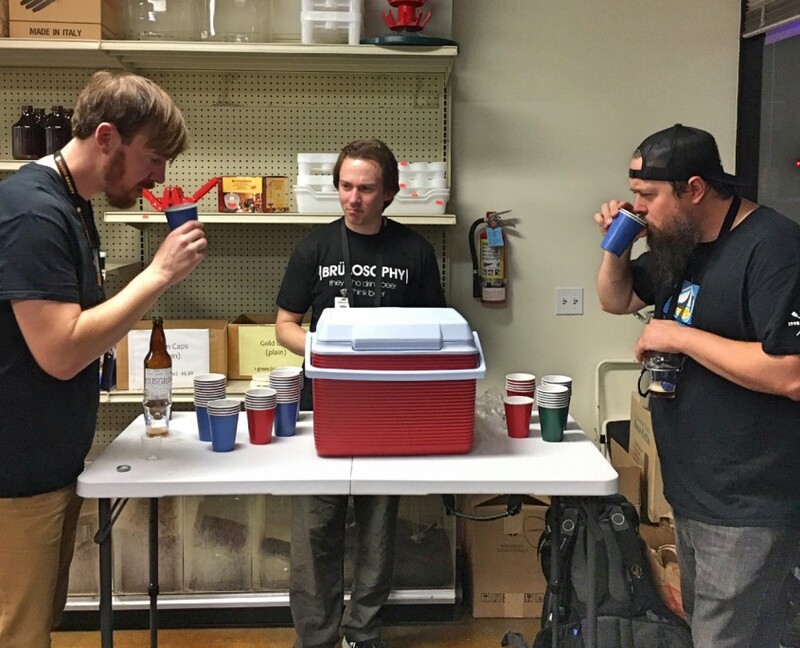 Carl reviewed our competition calendar including our 2nd Annual Los Angeles Belgian Brew Challenge on March 26th and the Doug King Memorial Competition held tomorrow, Saturday January 23rd at MacLeod’s Brewing Company in Van Nuys. Take a look at his recent Competition Corner post for more info. 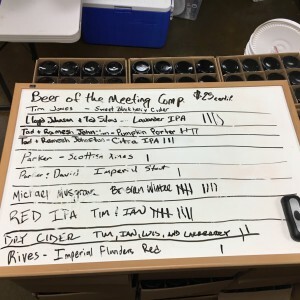 I announced my new role on the LABBC planning board as Sponsorship Coordinator and made a call for connections to breweries and businesses that might be interested in sponsoring the event. Sponsorship starts at just $50 dollars and tops out at $250. Email me for more info. 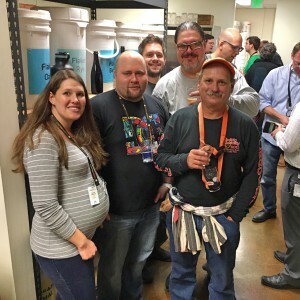 Also, First Friday for February is on the 5th at Three Weavers Brewing Company. For me, their Blood Junkie Imperial Red Ale, Kill The Lights Black Lager, and Amburana Wood Aged Porter are real highlights in their taproom and there is also a very good pizza place within walking distance which we’ll be ordering from. Getting there is easy too, just take Sepulveda south, take a left on Manchester and then another left on Isis. 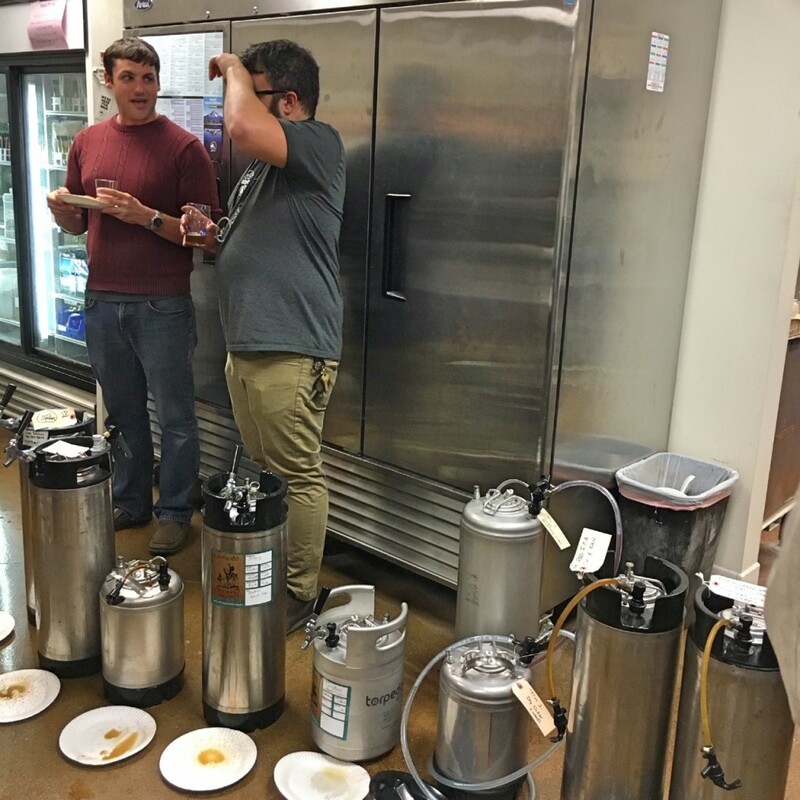 Tim Jones announced proud news that Tomm Carroll will be teaching a class at UCLA focused on the business of craft beer. 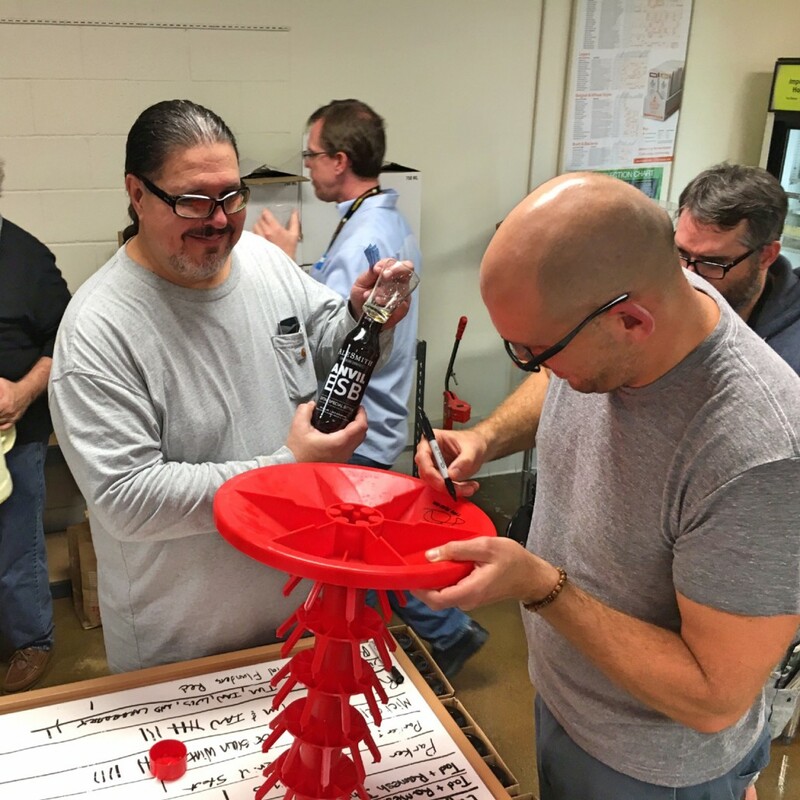 For those that don’t know him, Tomm is a local beer celebrity and columnist for Celebrator magazine and Beer Paper LA and he’s also one of us! Exciting news to say the least and as more details emerge I’m hopeful that Tim and/or Tomm will keep us posted. Later on I held the commercial tasting bringing as many British Special Bitters and Commonwealth Ales to the table as I could find (they were surprisingly scarce) and Terry and Lloyd ran a really fun raffle in which most memorably Norm won a red bottle drying rack donated and later autographed by Simon Ford of Phantom Carriage fame; also a Pacific Gravity member. I’m still laughing at that moment, photo included in the gallery below. 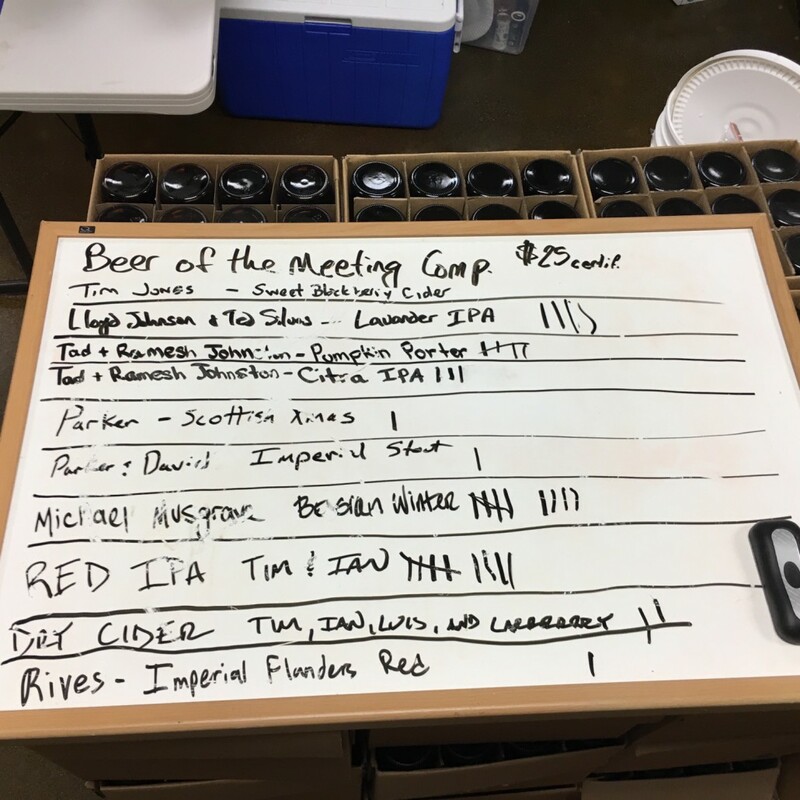 Finally, our Best Beer of the Meeting competition brought out a number of great brews and to my surprise and delight my Belgian Winter Ale earned the first win of the year! 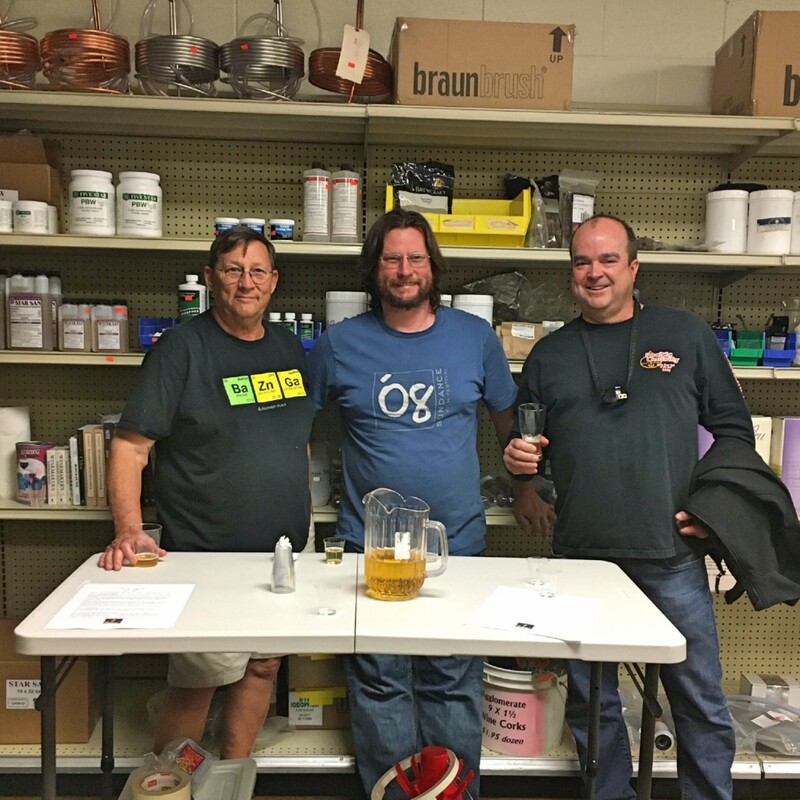 Thanks again to those who entered beers and to those who participated in judging. 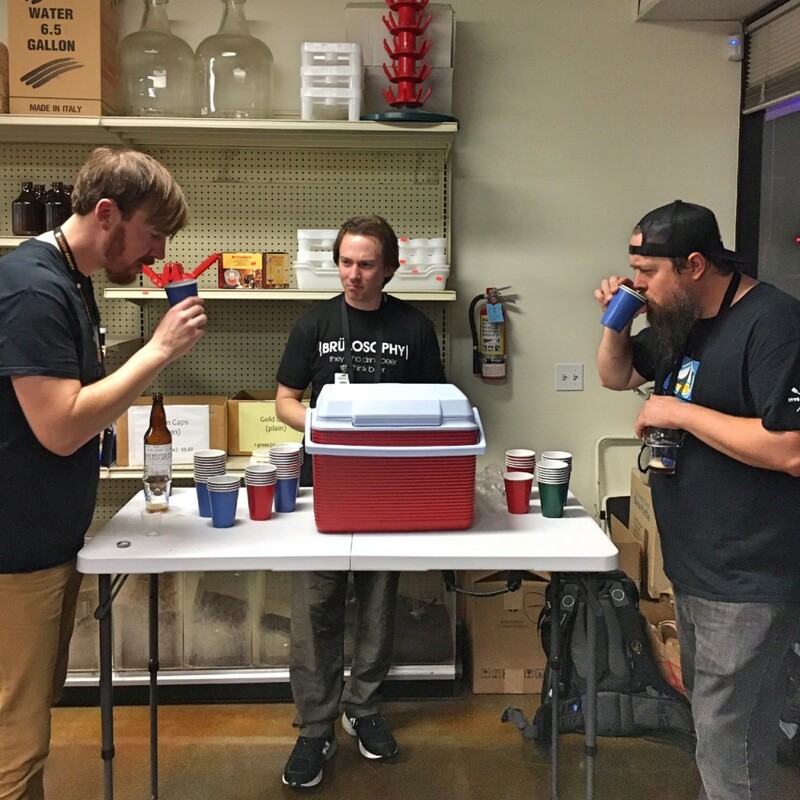 In closing I want to say thank you again to those who brought homebrew, those who volunteered to host future commercial tastings, to CCHBS and Greg and Michael for their effort and time. I also want to welcome our newest members Josh, Pat and Nick. Hope to see you all at First Friday and beyond!